Fog slowly clears from the summit of Specimen Mountain revealing the Poudre River Valley below. 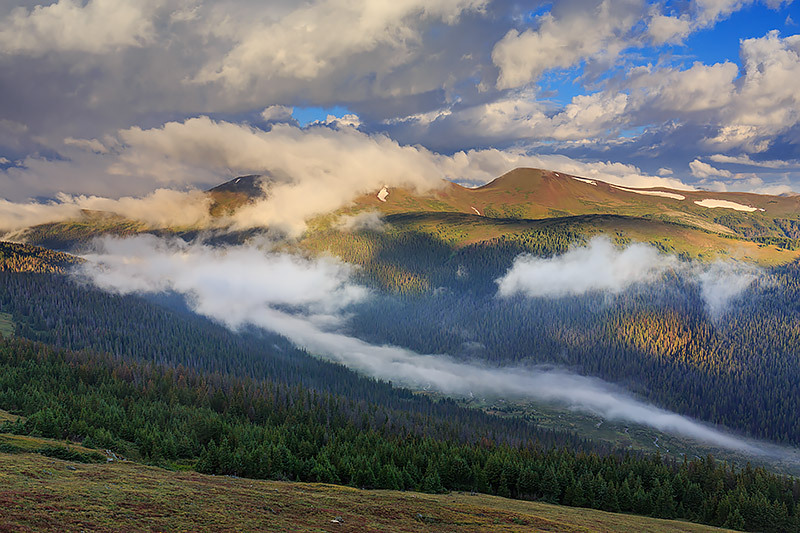 Rain had fallen on Rocky Mountain National Park the night before but slowly the sun worked it's magic and the clouds lifted and the green mountainsides glistened with fresh dew. Photo © copyright by Thomas Mangan.